Actually I was counting, but not in the sense that I was counting down the minutes until I could leave. 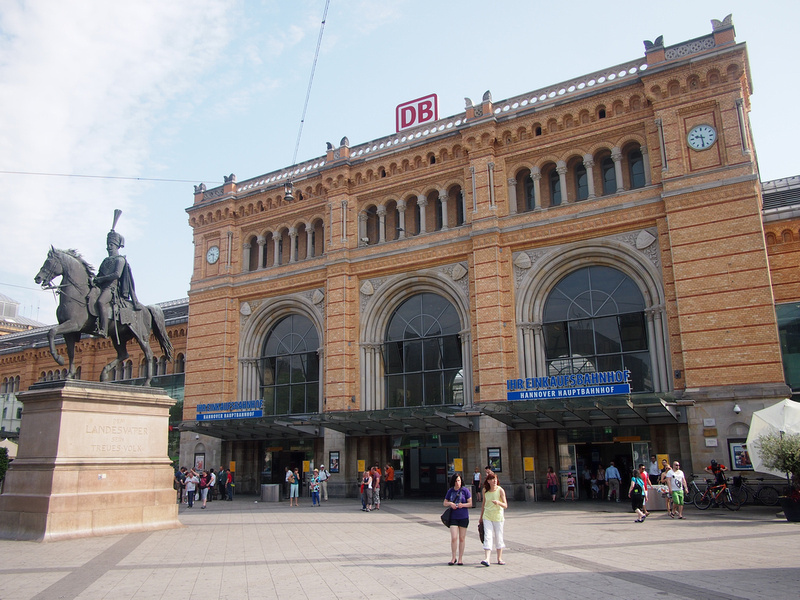 My travels from Hamburg to Leipzig required a change of trains in Hanover (Hannover in German). 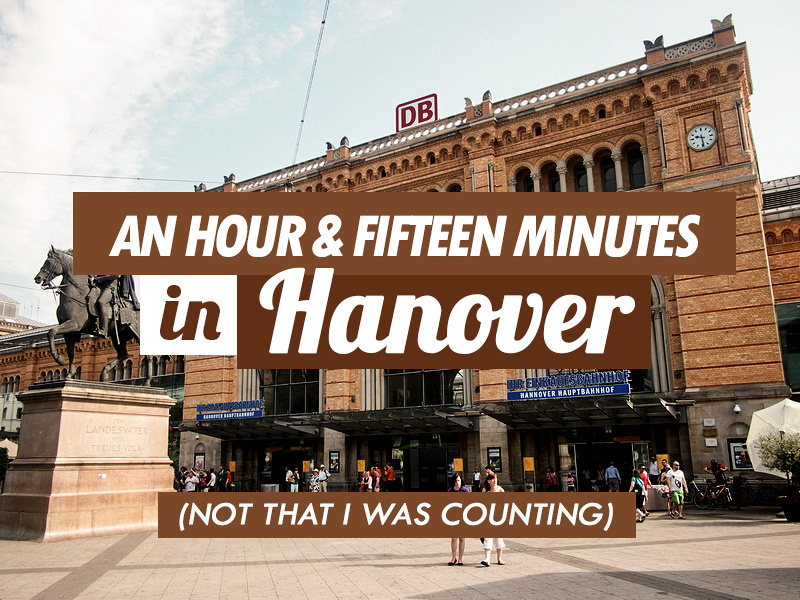 Rather than wait on the platform I gave myself a mini-tour of Hanover. I had an hour and fifteen minutes and I had to make the next connection, thus the clock-watching. I didn’t know much about Hanover before arriving (I didn’t even know I was going until that morning). I knew it was an industrial city that was high on the RAF to-do list, so there is not much old Hanover to see. Today it is best known as a convention city. 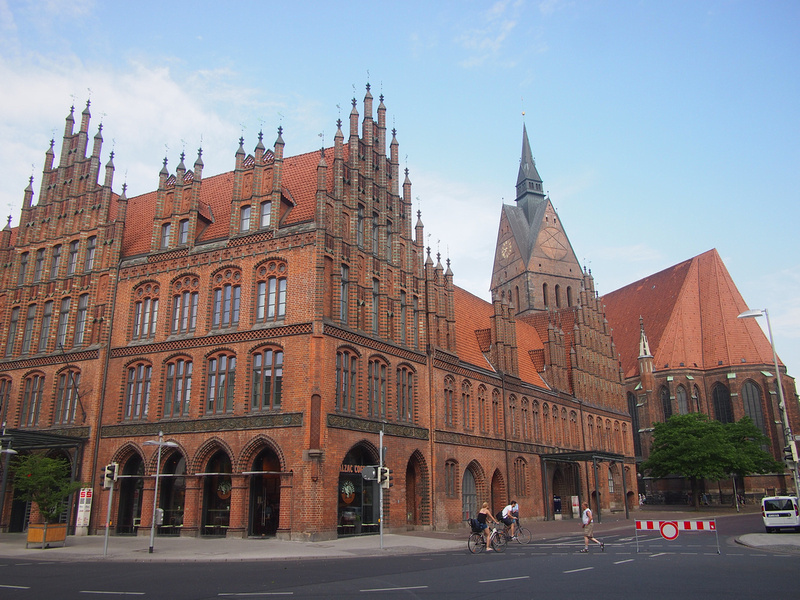 If you ever find yourself in a random German city that you know nothing about, head for the Altes Rathaus (Old Town Hall in German). I’ve been surprised to find that even the most bombed-out cities still had an old town hall, or at least rebuilt it to the best of their resources. 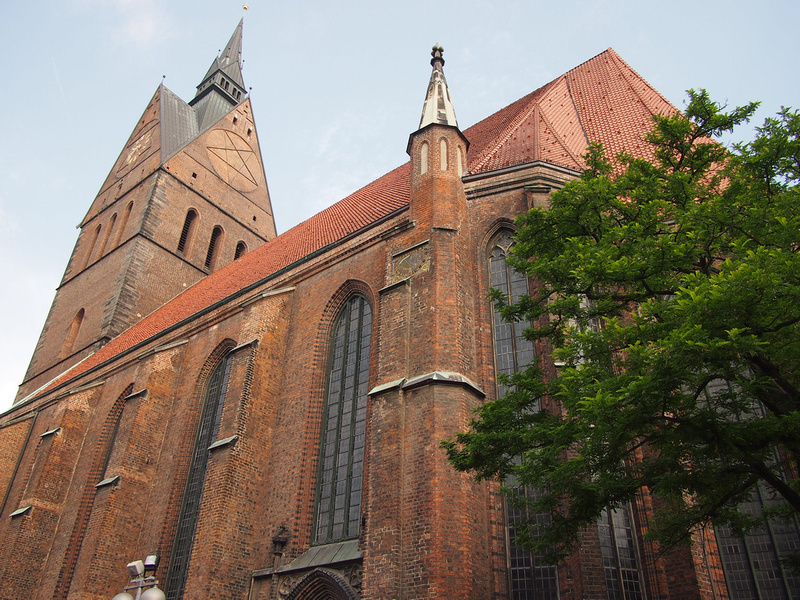 Next to the old town hall is the Marktkirche (Market Church). The church was damaged in an air raid and was restored after the war. Usually new town halls are ghastly post-war constructions, so I was surprised to see that Hanover’s new town hall to be as grand as any old town hall anywhere else. This was completed in 1913 and is still called new. Over 90% of the city was destroyed during World War II. 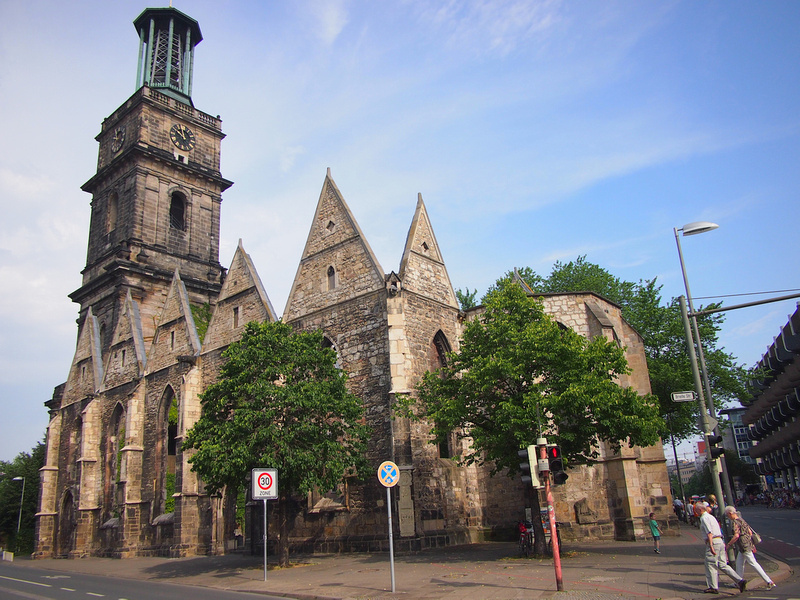 Aegidienkirche was damaged in a bombing raid in 1943, and the ruins now stands as a war memorial. My train pass was provided by Eurail.com, which is a popular way to travel in Europe. Read How I visited 57 cities in 31 days. If you are visiting Hanover, look for the Red Thread, which is a painted line on the pavement that is 4200 metres long and passes by the best sites of the city. Search for Hanover hotels if you want to stay overnight. Visit World Nomads for European travel insurance. Find out more about why travel insurance is a good idea. Your writing is often pretty straightforward, but then on occasion you drop a gem like “RAF to-do list” and crack me up. Thanks for the write-up on a city that no one ever writes up. Sounds like the Eurail pass is treating you right. Had one of those back in my under-26 days, and loved the flexibility of making last-minute decisions to go wherever I felt like going. I would get another one in a heartbeat if they didn’t force me to travel first class and thus pay 50% more just because I’ve had another birthday or 10. I prefer traveling by train in Europe, but for half my trips I would still have to get (and pay a non-trivial amount for) a reservation even if I’ve got the pass. So the budget airlines will continue to get my euros in most cases. 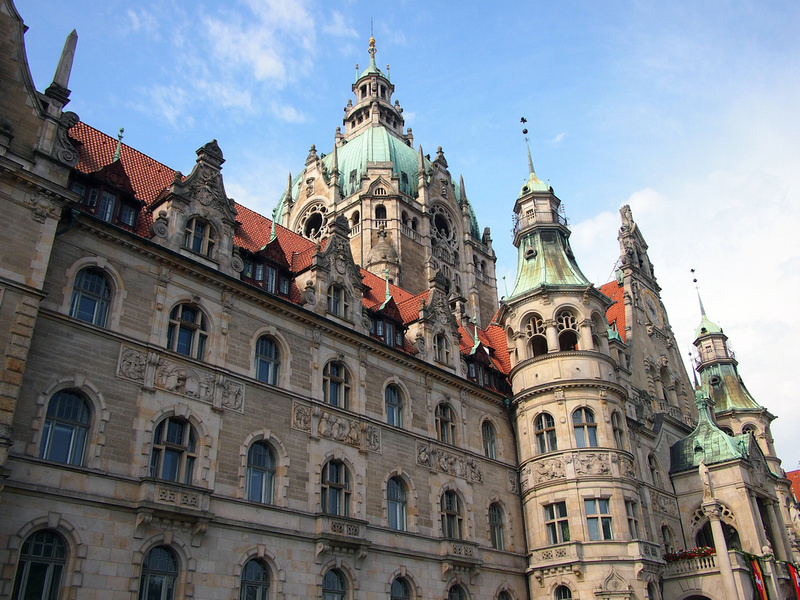 They did a great job on the refurbishment of their city hall … hope I get to see it when I am in Germany next year!